Yadah is a range of botanical skincare products for teenagers and young adults formulated with natural plant extracts such as essential oils, floral water, bark and traditional herbs. Yadah also has a range of haircare and make-up products. The key ingredient found in all Yadah products is the native Opuntia ficus extract, a unique cactus species organically grown and cultivated in South Korea. The Opuntia ficus is known for its strong anti-inflammatory and high potent antioxidant properties which help neutralise free radicals harmful to the skin. Its resilient properties also help prevent water evaporation from the epidermis and act as a natural moisturiser to keep skin soft and hydrated both indoors and outdoors. Yadah executive director Michael Kum believes the South Korean product will receive positive responses from the local market. “I think Yadah products will be well received in Malaysia and we look forward to working more with Stage Asia,” Kum said. 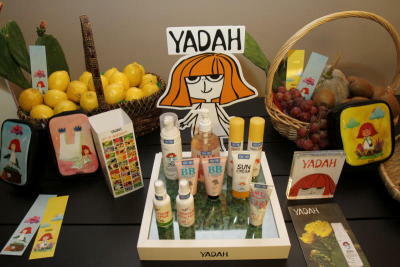 Stage Asia is the distributor of Yadah products in Malaysia. South Korea has been recognised by Marie Claire magazine as the new skincare superpower, outpacing other countries in beauty innovation. Beauty experts have reportedly said South Korean beauty products were formulated to nurture the skin as opposed to most other products which work to strip down the skin. All Yadah products are certified by the South Korean FDA and are formulated to be hypoallergenic and non-comedogenic which are suitable for all skin types. The gentle yet effective formulas of Yadah products are 100% free from artificial colouring, preservatives, mineral oil, and sulphate and do not contain animal extracts of any kind. “They are most suitable for young skin as this particular age range have more tender skin that is more vulnerable to harsh chemicals,” Stage Asia marketing director Ong Chin Lay said. 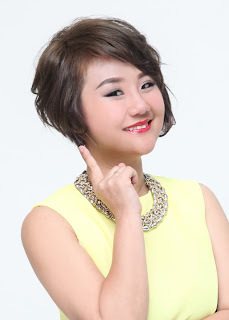 Yadah is targeted at the young users of skincare products and Eunmee Anna Kang, founder of Yadah, said the vibrancy of the brand and its target market is evident in the Yadah mascot; a young, witty and optimistic girl named Yadah. Yadah products are available at all Stage and Stage Asia outlets. Stay Tuned with Devil's Haul & Blogger Event Soon!